Is your elementary-school child having trouble with fractions? Your high-schooler can't quite get the quadratic formula? Maybe your college student is struggling with the Intermediate Value Theorem in his calculus class. Or perhaps you have a bright middle-schooler whose classes are too elementary and who wants to know what real mathematics is all about, the math that goes beyond just plugging three numbers into the Pythagorean equation to see whether they can form the sides of a right triangle. I've tutored local students in all those areas of mathematics. Here's an example of how I work with people needing help with basic arithmetic. More advanced students wanting to explore the world of real mathematics have to understand what it means to prove things, so I might start with this introduction to proof. And then for further work we could explore a problem in graph theory or infinite sets for our topic. In chemistry, the students might be asked to find the enthalpy change of a chemical reaction where the amounts of the reactants and the temperature change are given. This involves balancing the chemical equation, finding the limiting reactant, determining the energy released or absorbed from specific heat data, and finally scaling the energy to what would be seen due to the limiting reactant. Want an example? A common high-school physics problem in ballistics will involve the equations connecting time, distance, and acceleration. The student will be given one quantity and asked to find another, which will require working through the several equations to get from the given quantity to the one asked for. Might be more interesting, though; maybe we can figure out how fast we can take a turn in a car without skidding. Remember Deflategate? What can high-school physics tell us about the credibility of the Patriots' defense? Read the analysis here. If you're a teacher facing the Massachusetts Tests for Educator Licensure, the MTEL, give me a call. We can go over practice tests together, or you can take a practice test on your own and then cover problem areas with me — whatever will help you the most for the least expenditure of your time and money. One strong item of advice: This can be a tough test. Start preparing early. Teachers who start preparing for the MTEL two weeks before the test date have not fared well in my experience. Six months beforehand is not too early. That will give you enough time to study an hour a day, two or three times a week, and get some help for the topics you don't fully understand, without interfering too much with your job and family. Cramming doesn't work for your students and it won't work for you. Depending on your relationship, your child may be more likely to learn from another person. You may not have the time you'd like to spend with your child's homework. Your child's interest in the subject may improve with one-on-one coaching. 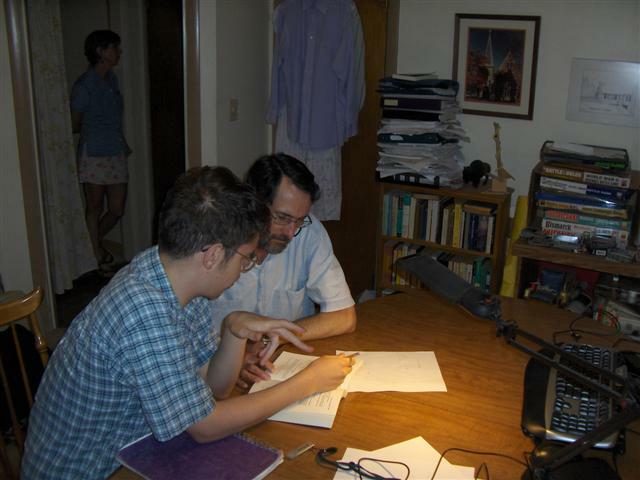 One-on-one tutoring is one of the best ways for your child to improve his or her grades. Prepare for your SAT exam and approach it with confidence. Get help with homework and prepare for tests. Specializing in SAT and MCAS test preparation. Will travel to you! Serving Westborough and surrounding towns including Shrewsbury, Northborough, Marlborough, Southborough, Grafton, Upton, Hopkinton. Flexible hours: available weekdays, evenings and weekends.